Are you in Phoenix on February 23, 24, 2019? Then you may wish to be a part of the annual Arizona Matsuri festival showcasing the culture of Japan. A Japanese word for holiday or festival, Matsuri may revolve around entertainment carnivals with food stalls, games, and other activities. While another fest can be more focused on temples and shrines or it can also include contests with participants dressed merely in a loincloth. 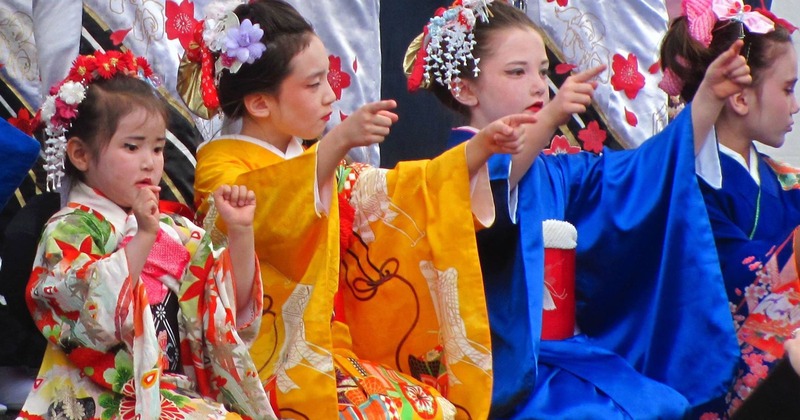 The two-day Arizona Matsuri Festival of Japan will celebrate its 35th anniversary this year. The entry to the event is free. So, get a lowdown on Japanese ethos, tease your curiosity as you drop by cultural demonstrations or exhibits, arts and crafts, bonsai displays, live entertainment on four stages encompassing the Heritage & Science Park in Phoenix from 10 am to 5 pm. Not only this, you get to gorge on scrumptious Japanese cuisine and wash it down with Japanese sake or beer (Asahi). The theme for the 2019 Arizona Matsuri is Japan, Old & New. The cultural affair is planned to kick off with Awa Odori Tokushima-Ren dance group from Los Angeles and will feature dancers from across the State. What more, you can also be a participant and practice events that are held days and weeks before the main event. The event boasts of a creative line-up of dancers, musicians, martial arts, artists, storytellers, Ninja theatrical dance performance as also Kendama which is a traditional Japanese toy with three cups and a spike with a ball attached to a string, making it an amazing introduction to the Japanese arts and culture to Arizonans. Drum up the excitement with stellar performances by multiple Taiko (Japanese form of percussion using large drums) teams; with kids and adults as Taikoists. There can be a repeat of last year’s demonstrations of Japanese martial arts like Aikido, Bujinkan, Karate, Kyudo (archery), Soran Bushi, a traditional Japanese fisherman’s dance, Laidō (sword drawing or sword dancing), Kendō, orchestra playing Japanese Rock from the 60’s as well as from some of popular anime. Rakugo (fallen words), a form of Japanese verbal entertainment promises some great performances too. You may indulge in a costume play (Cosplay) dressing up in your favorite Anime and Manga costumes. Get in your state of zen by Shakuhachi flute performance or soak in the culture watching the Japanese lion dance Kotobuki Jishi, Nihon Buyo (Japanese classical dance), Amezaiku (the art of candy crafting), Chanoyu (traditional Japanese tea ceremony) demonstration. You may even participate in poetry contest penning Arizona-inspired Haiku (cutting), a traditional form of Japanese poetry and get published in a downloadable free eBook and also have your work on display at the festival Haiku Booth located in the Lath House area. Tempt your taste buds with mouth-watering modern and fusion Japanese food. Snack on Takoyaki, Yakitori or devour on ramen, noodles, edamame, rice dishes, sweets, shaved ice and more. This year, the fest is featuring Asahi Super Dry beer, Hiro Sake, Watermelon Saketini and Tokyo mule. Relax, grab a grub, drink and move on. Buy kimonos, fine arts & décor items, fabrics, gifts, a souvenir from merchandize vendors. Kids can hone their skills at craft activities, special exhibits and get a stamp on their “passport” after finishing the tour. You may check out the updated portal for more information about the 2019 itinerary. All in all, the Arizona Matsuri festival opens a window to Japan’s dynamic cultural past and present, and you may indeed want to be a part of this art, music and literature bonanza.